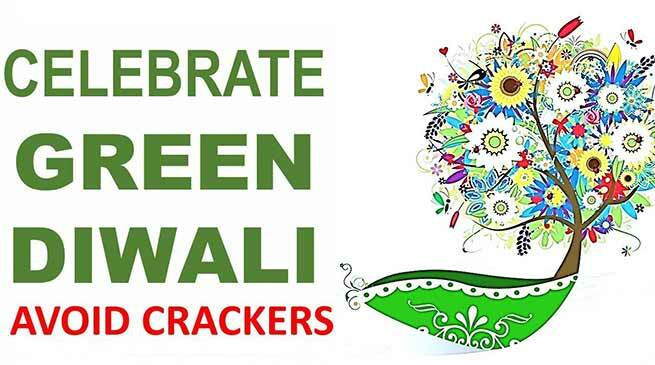 The Hailakandi district Administration of Assam has appealed for a green and, eco-friendly and pollution free diwali . The Hailakandi district administration has banned the use of high decibel crackers to prevent noise pollution during Diwali. Deputy Commissioner Adil Khan has asked the Circle Officers to keep close liaison with the police to ensure that bursting of crackers and loud speakers beyond the permissible limit is not allowed in the district that could cause annoyance to the general public. In this regard, he appealed to the people to buy green firecrackers with low emission levels, earthen lamps and diyas to celebrate Diwali in an eco-friendly way. The Deputy Commissioner also appealed to the people to stick to the 8 pm to 10 pm window, as stipulated by the Supreme Court, for bursting crackers not exceeding the sound limit of 125 decibels. Khan also asked the law enforcement agencies to be on alert to thwart the nefarious designs of anti-social elements out to create disturbance during Diwali and Kali Puja festivities and thereafter. “A security plan would be put in place to ensure safety and security of the people,” added Khan. The Deputy Commissioner instructed the law enforcement agencies to sensitize the puja committees to keep a close eye on suspicious persons or objects and to adopt fire safety measures to prevent electrical short circuit or fire. Security will be beefed up at market places, bus terminals, railway stations, market places and other vital installations. The administration will keep hawk’s eye on unclaimed baggages or abandoned vehicles and keep a tab on rumour mongers on social media to maintain peace and tranquility.